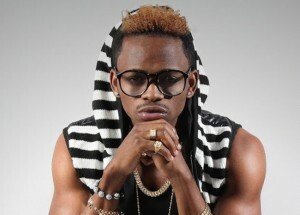 Tanzanian musician Diamond Platnumz suspects he could be having another baby with a different woman – besides his known partner, Zari Hassan. According to his narration on TBC FM on Sunday, the Bongo Flavor artiste said he had a one night stand relationship with an undisclosed lady back in 2010 when he had gone to perform in Mwanza, Tanzania. The relationship seemingly produced a baby who he is yet to meet. “The woman had come from (singer) brother Dully’s room and joined me where I had lodged. I did my thing and after that I returned to Dar. She later told me she was pregnant,” recounted Diamond. “I started providing for her needs. She consequently fell for me. The lady would later stop picking my calls. When I saw she wasn’t going to respond, I embarked on a Mwanza journey to go look for her. Everyone in her family liked me,” added the feted artiste. The lady however refuted having given birth to Diamond’s baby months later. She would nevertheless open up some time later. “She left the hotel we’d met at in the morning to go bring me the photo of the baby. She however delayed, and upon returning, I had already left the hotel as my plane departure time had clocked. I left her belonging at the hotel’s reception. When I landed (in Dar), I asked her to send me the photos through email, but she did not; when I called her, she did not pick,” concluded Diamond. If his revelation is anything to go by, then his five-month old daughter with Zari Hassan, Latiffah Dangote, is the singer’s second child.